It wouldn’t be an iPhone launch without some sort of “gate” controversy. In the past there’s been antenna-gate, bend-gate and now charge-gate? That appears to be the case for an iPhone user in Taiwan who claims her iPhone split open while charging. The iPhone in question is new Gold iPhone 8 Plus (64GB). According to the user, Ms. Wu, she was charging her phone with the Lightning cable and wall plug that was included in the box. She had just purchased the iPhone 8 Plus five days earlier. In her account of the incident, within three minutes of charging the phone, she noticed the front panel bulge before completely disconnecting from the frame. Her phone was recovered by her carrier and was out sent to Apple for analysis. Ms. Wu wasn’t the only person affected by this issue. 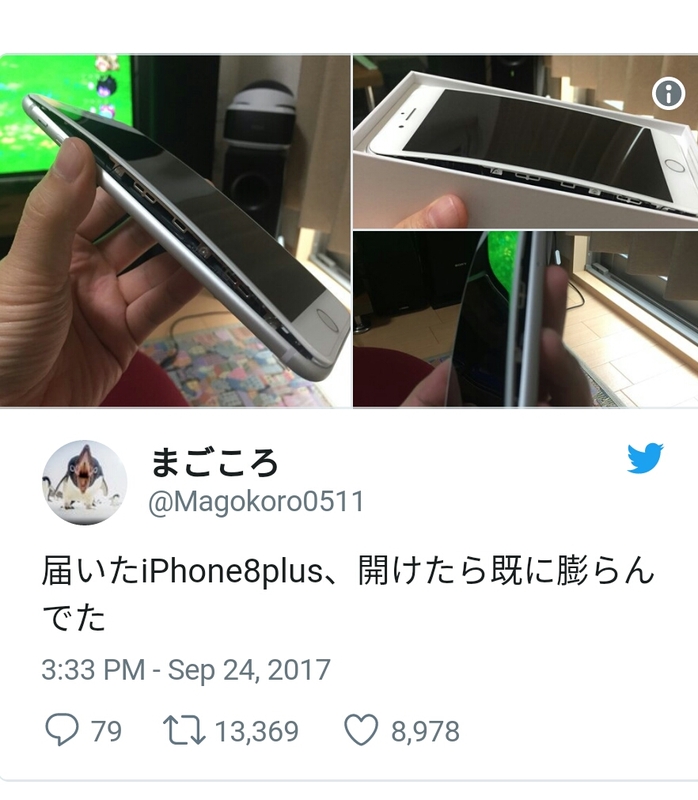 A Japanese user took to Twitter to show how her Silver iPhone 8 Plus had arrived in the box. It looks similar to Ms. Wu’s iPhone, with the front glass panel disconnecting from the aluminum fame.